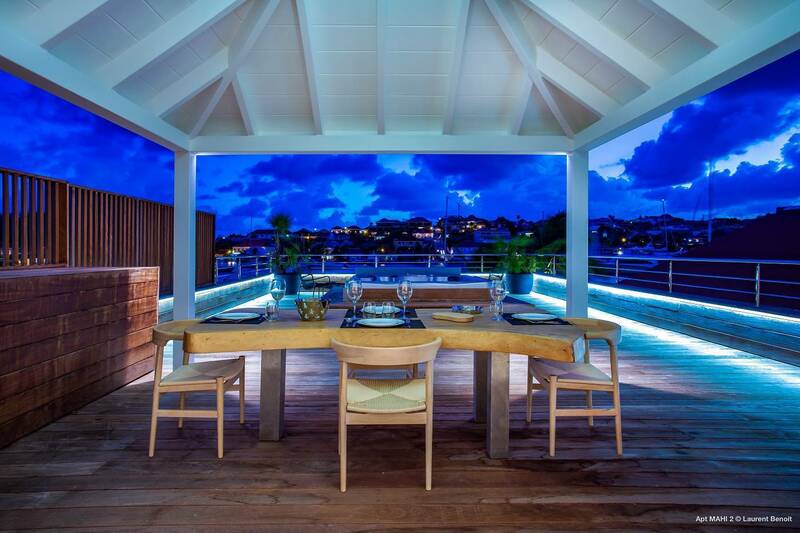 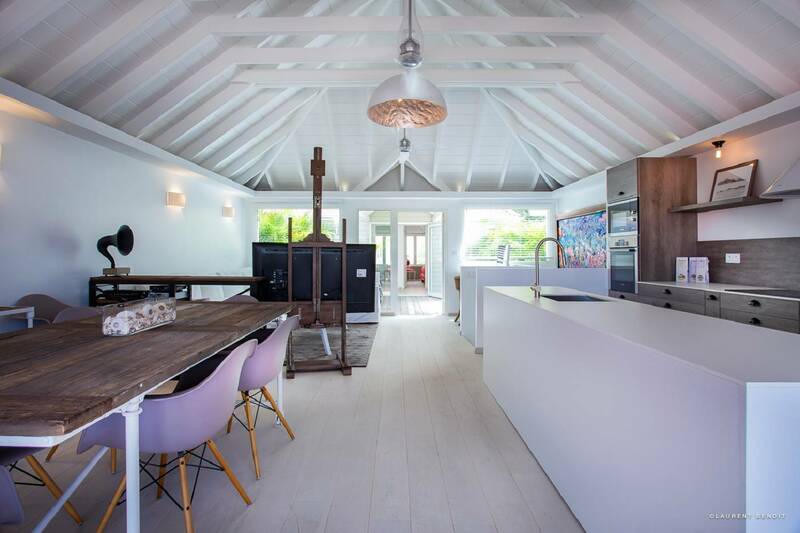 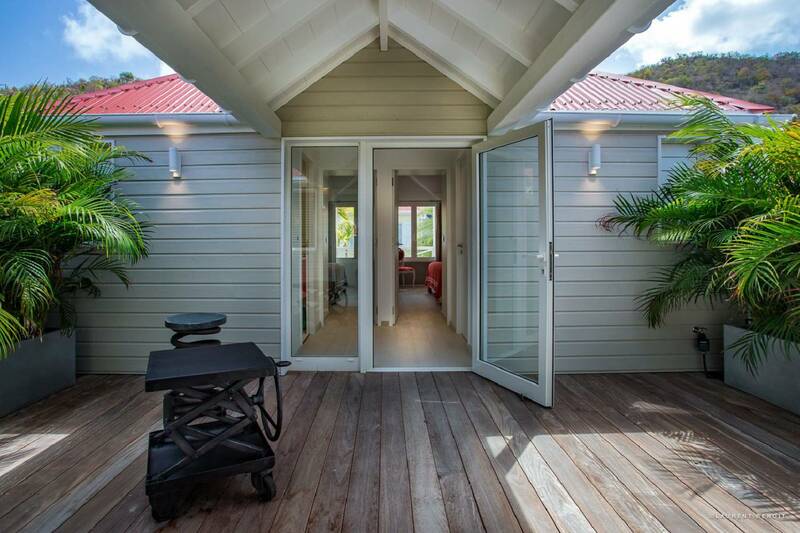 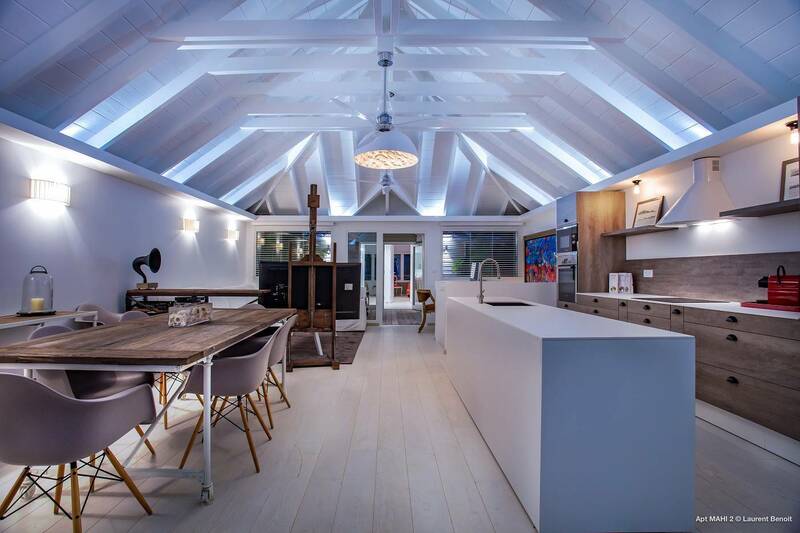 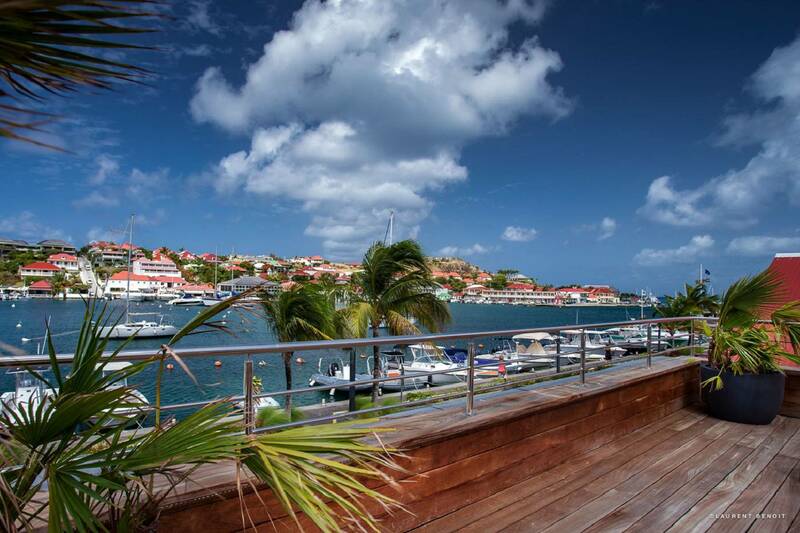 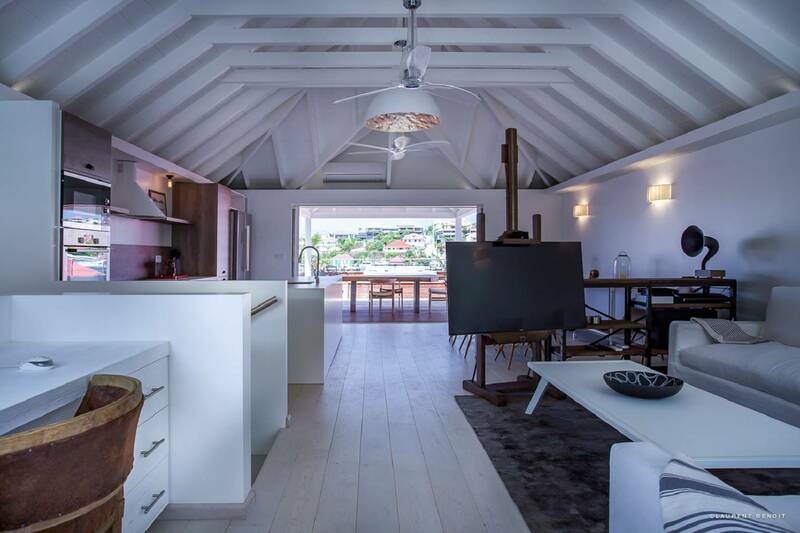 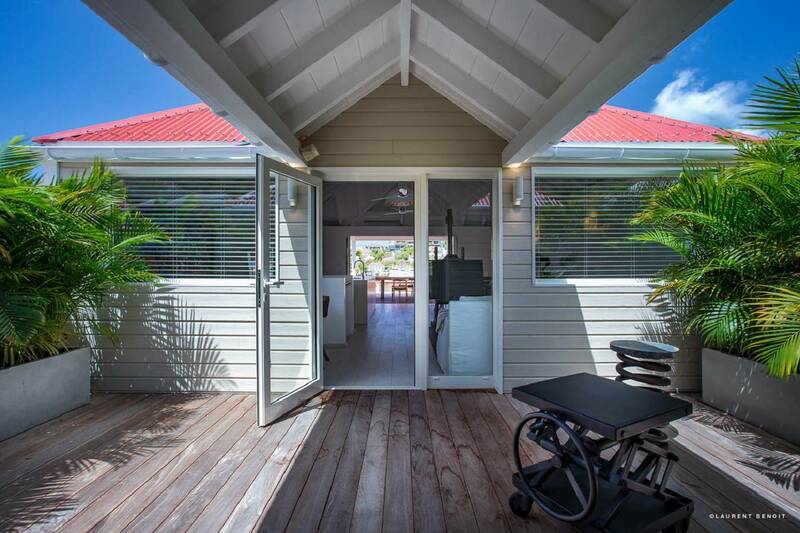 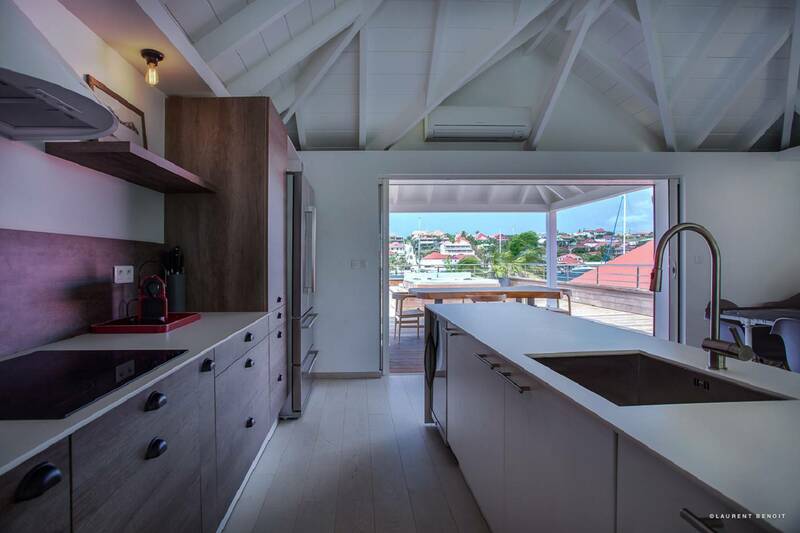 Dream About: A Gustavia pied-à-terre amidst all the celebrated wining, dining and shopping. 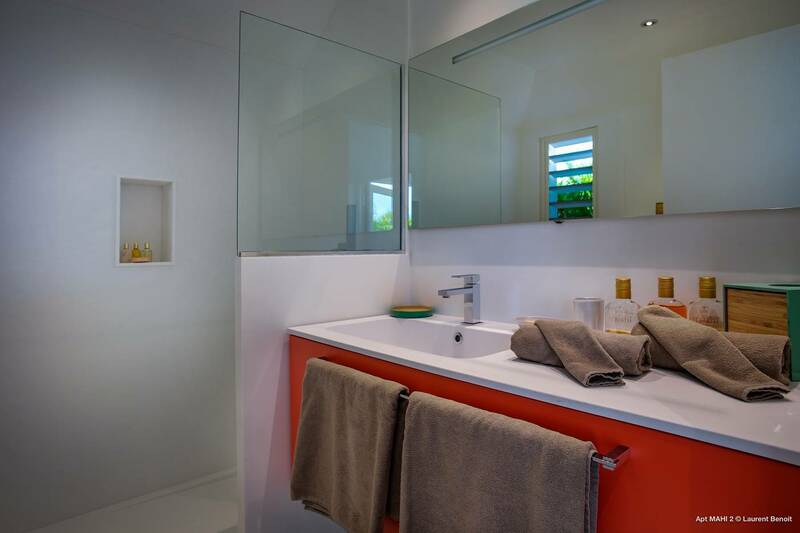 Privacy preserved. 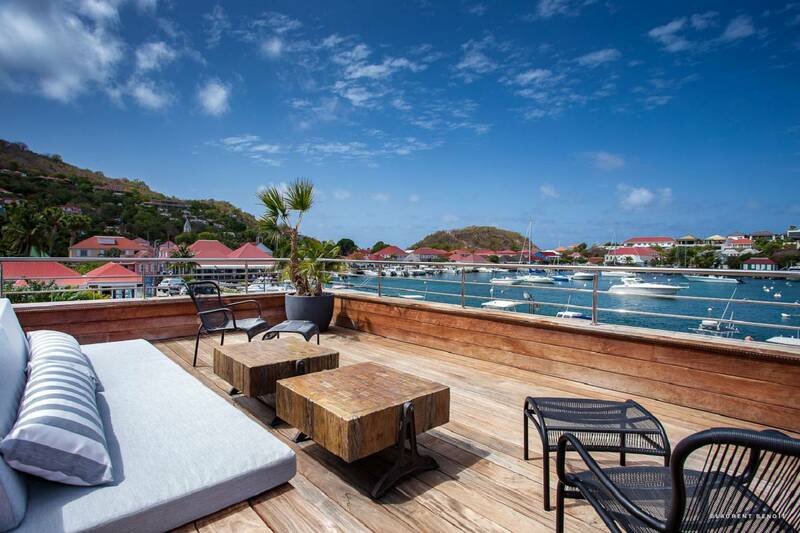 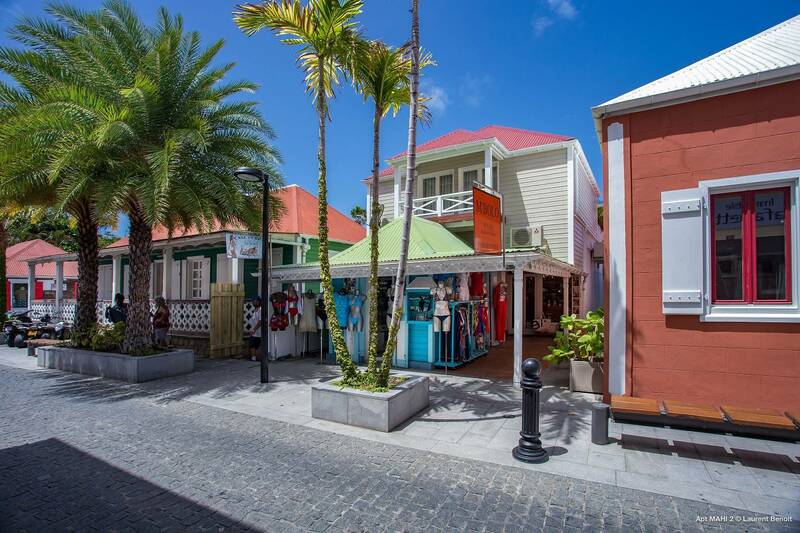 Gustavia, St. Barth’s petite harbor side capital, brims with boutiques, brasseries, mega-yachts and venues for happily sipping your favorite beverages. 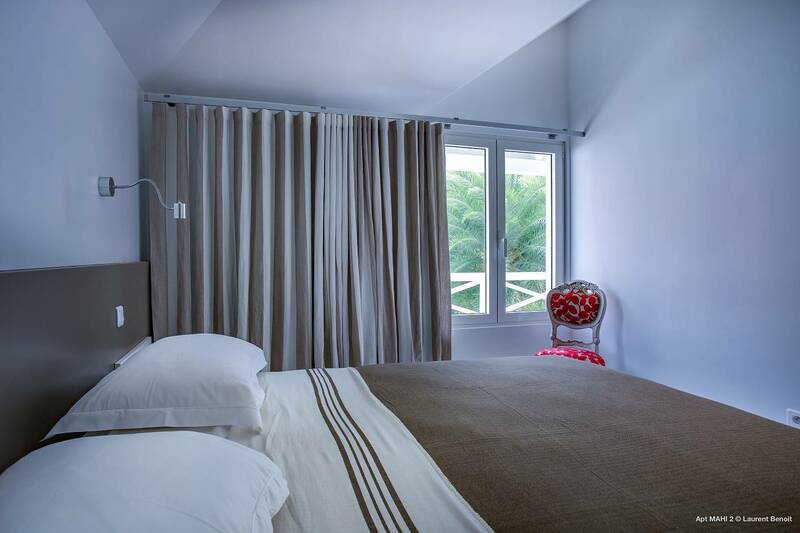 For those who love to be in the "middle of it all", we have the perfect pied-à-terre. 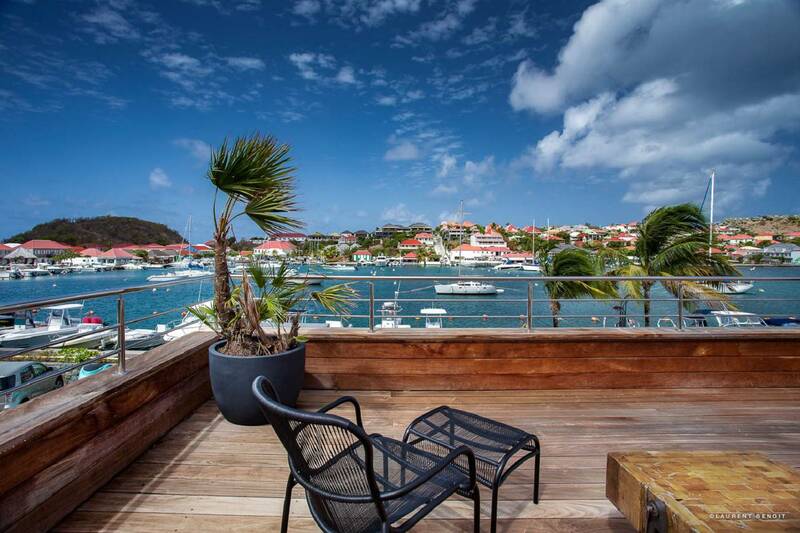 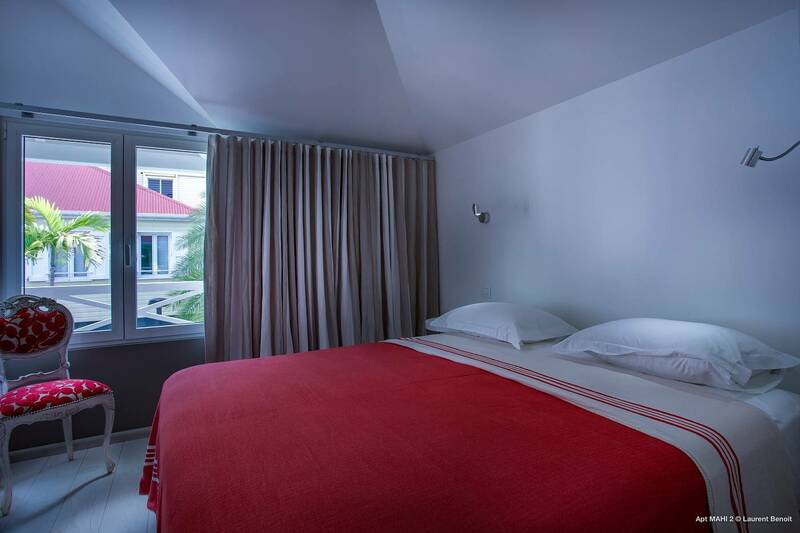 Rive Gauche is a two-bedroom apartment that is as casually sophisticated as the island itself. 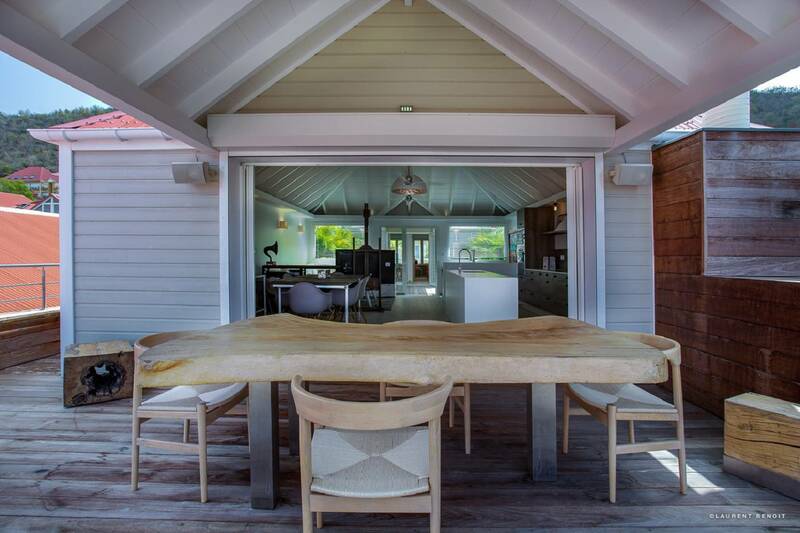 It sits atop a popular little bistro. 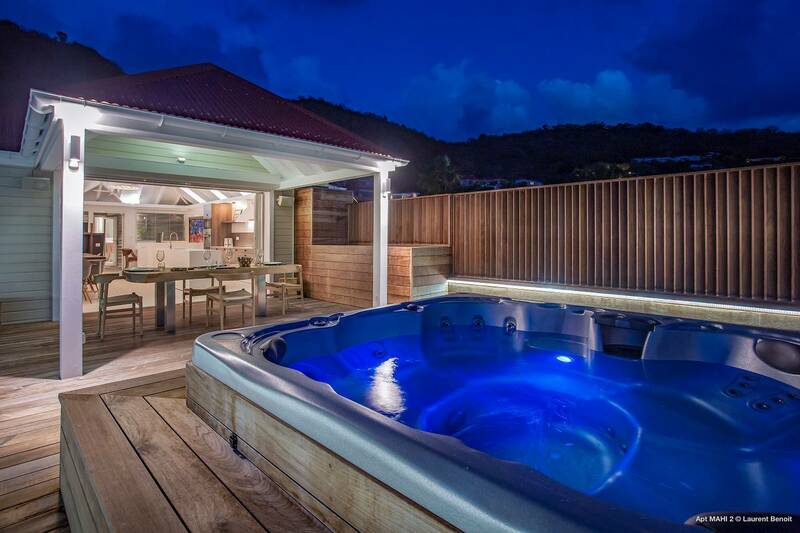 Privacy is well-preserved. 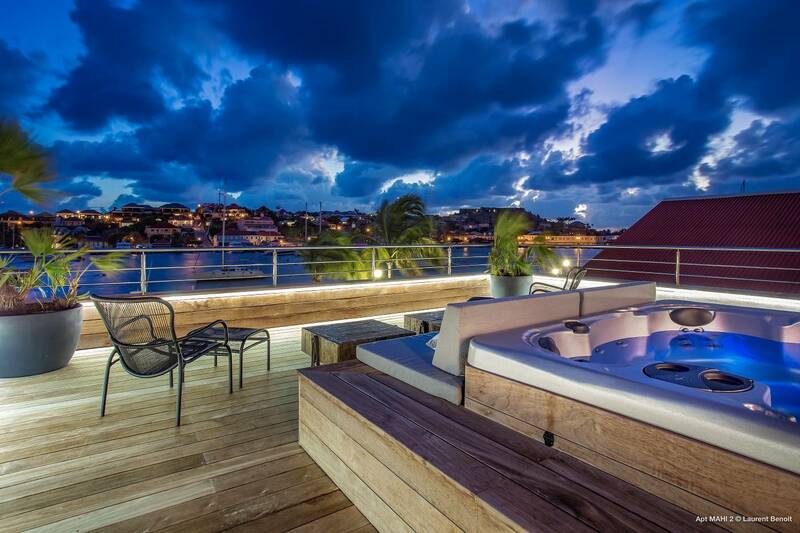 Guests are treated to a stunning vista of the harbor and vivid sunsets. 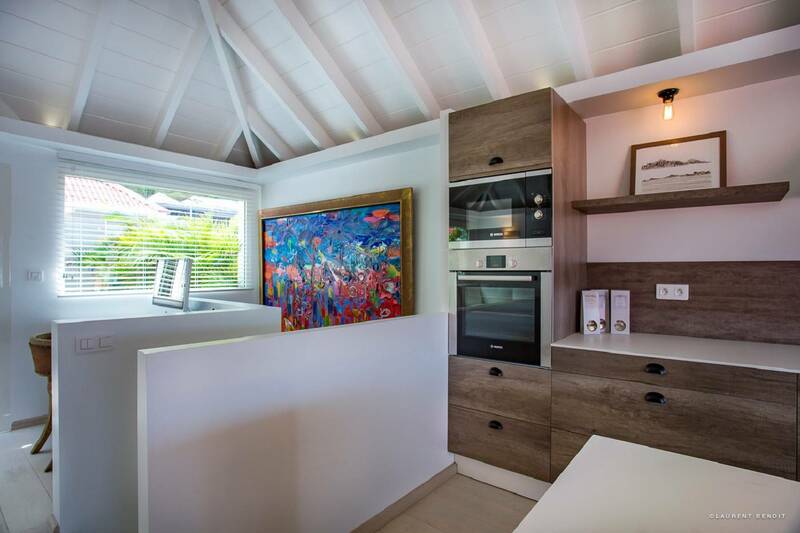 Air-conditioned throughout, Rive Gauche’s floor plan encompasses a living room, dining area and a sleek galley-styled kitchen opening to a covered dining terrace. 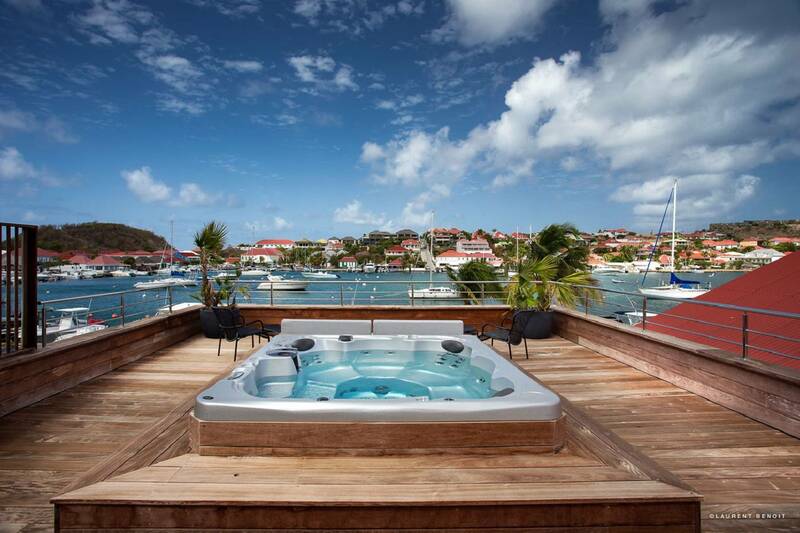 Just beyond, a Jacuzzi and a double-sized sunbed are positioned for guests to relax and enjoy a view of the harbor that’s right out of a travel magazine. 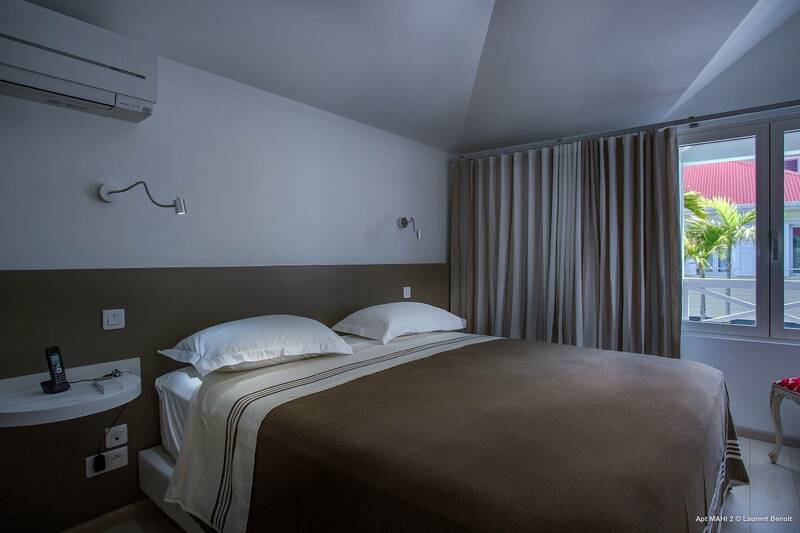 The two bedrooms have French king beds and, together with a bathroom, are in the rear. 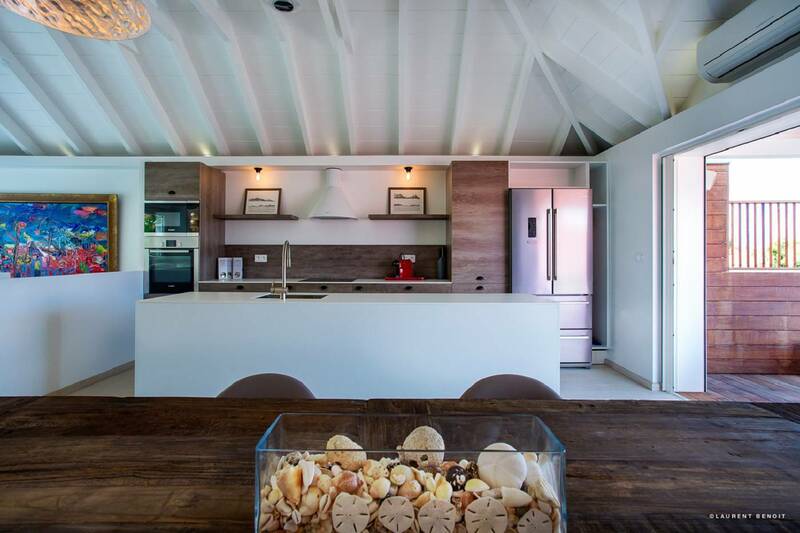 Shell Beach is a short stroll away. 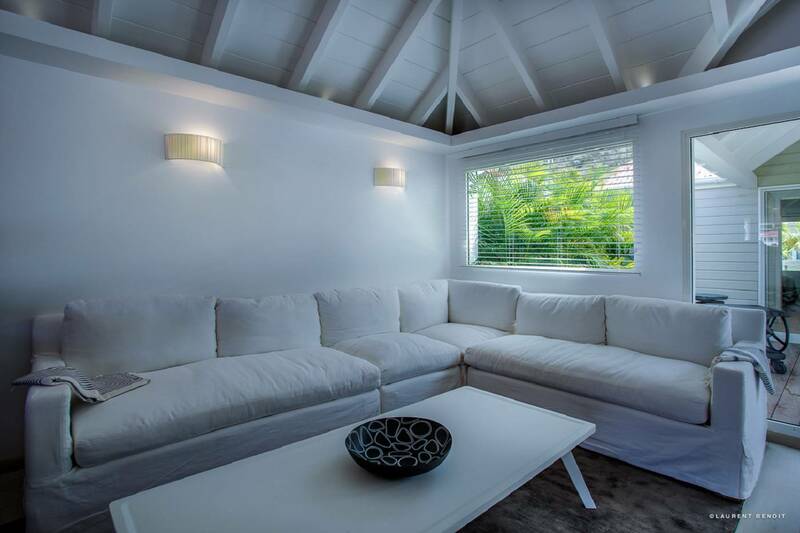 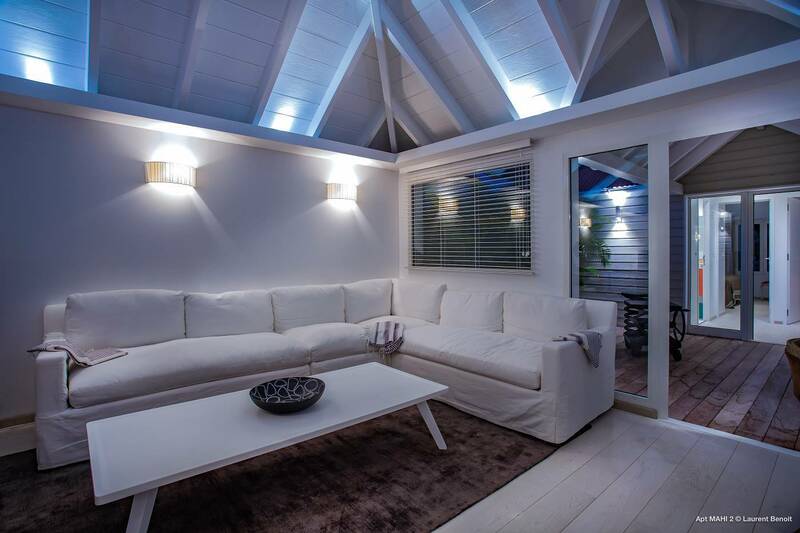 Chic 2 bedroom apartment, 1 bath; A/C throughout; its terrace has a covered dining area, a Jacuzzi and a double sunbed.